All March | Popular Drinks Just $2.75 @ Sweetime in Garden Grove - EAT WITH HOP! I recently went to Sweetime a few weeks ago and love it! They do have the typical boba drinks most places have but Sweetime has even more sweet options! Their freshly made crepes are actually really good! You can fill them up with fruits and cream or savory items like chicken. They are also made on the spot! In addition to crepes, they have the munchies such as popcorn chicken, chicken sticky rice, and more. I tried these out and they are delicious too! 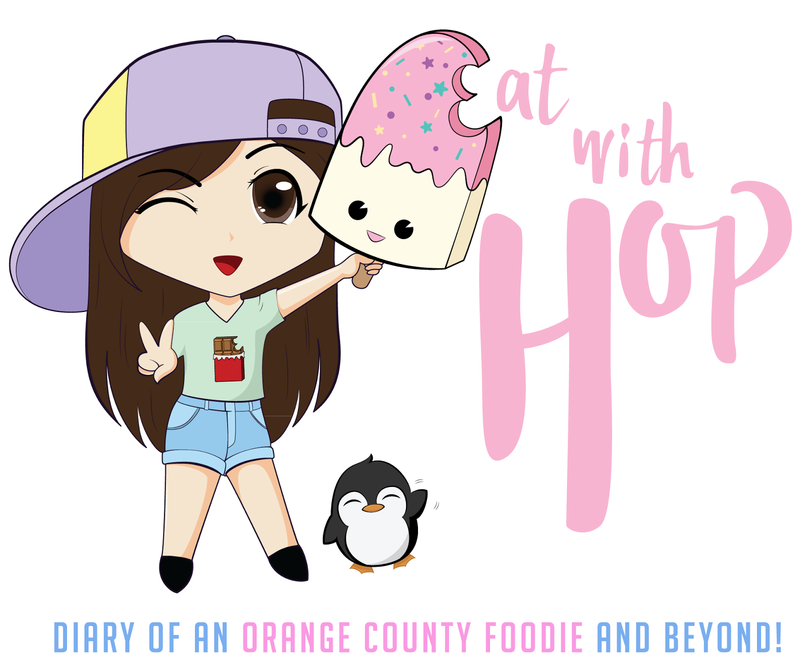 Basically, Sweetime is a great place to just chill and hangout with some boba and dessert. This place is one of the better boba places in Garden Grove with strong tasting drinks (milk tea, tea, smoothies, etc.). So yup, I'd definitely recommend it! And plus, they have a drink deal for March! Sweetime in Garden Grove is having a special March promotion on their popular drinks! They currently are offering happy hour prices from 2pm-6pm every weekday with drinks under $3! 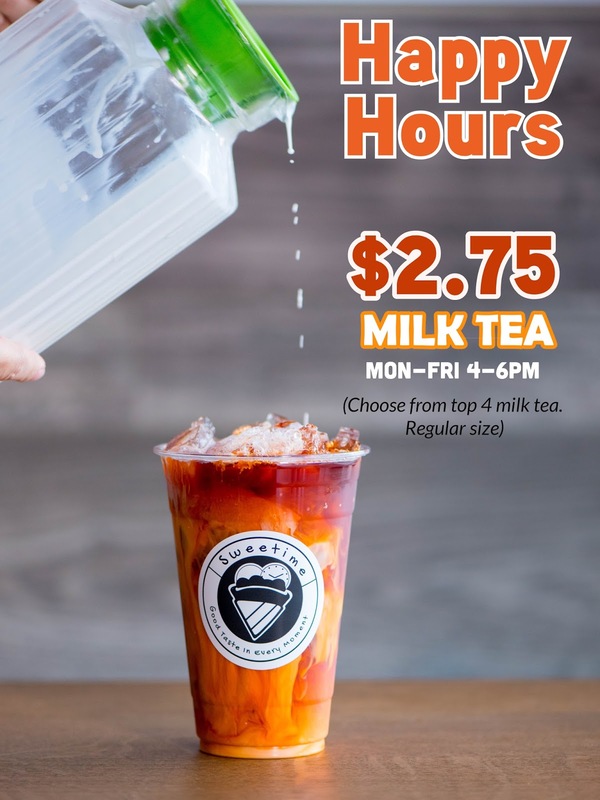 Milk Tea is only $2.75 for 20oz. Thai Green Milk Tea - strong flavor! All month long in March! The deal is from Mon - Fri from 2pm - 6pm.